Puerto Vallarta is Waiting for You! 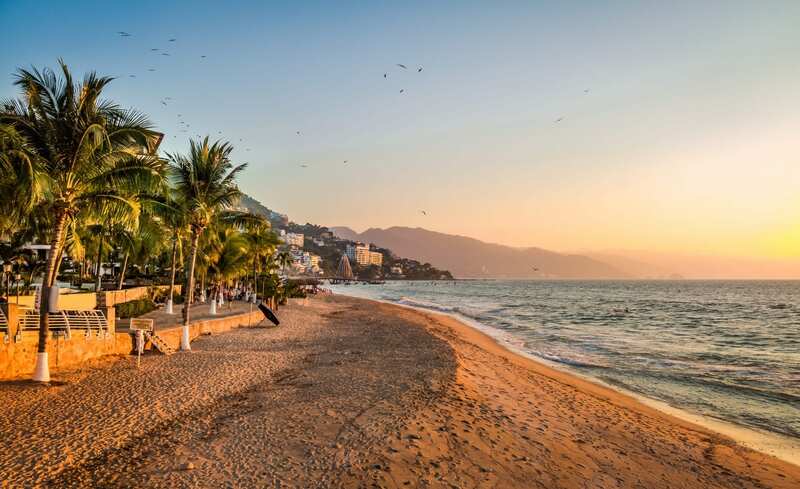 Walk the long, golden beaches along the Pacific Bay in Puerto Vallarta. Relax on the beach as you enjoy the view of the Sierra Madre Mountains. Take a day or two to head into town. Here you will find the charm of Old Mexico, with their cobblestone streets and red tiled roofs. During the day enjoy the hot sun and the beautiful water. Swim with dolphins and manta rays, ride horseback through the ocean, or discover the beautiful waterfalls sprinkled throughout the lush mountainside. Located on the bay is the Malecón, where you will find upscale shops, unique sculptures, and lively restaurants. At night the Malecón comes alive with performers, live music, open air theaters, street vendors, and authentic food and desserts. Later on, dance the night away at some of the best nightclubs Mexico has to offer!